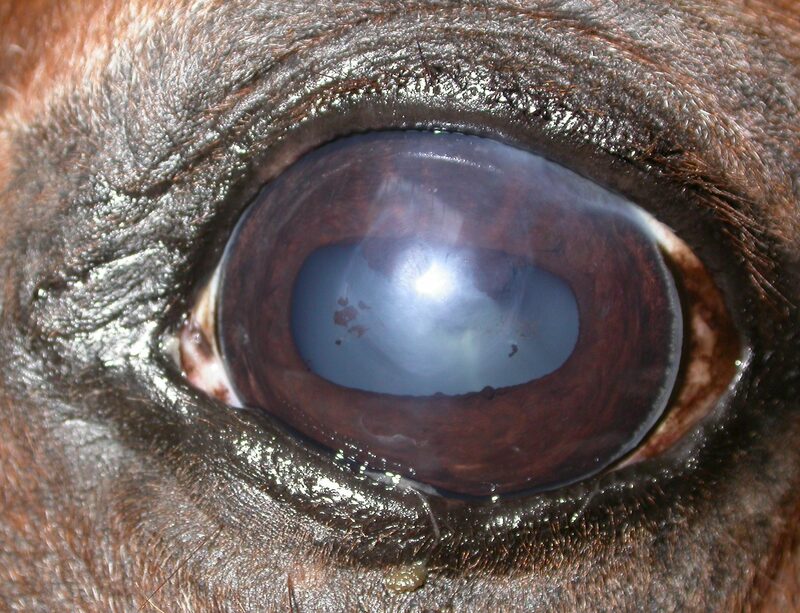 This pony is being purchased for a six year old girl to start riding, but the owner wants to know if this eye is anything to worry about. Specifically is the corneal haze going to alter vision substantially and should we be concerned about the black dots in the eye? There is no history on how they came about but the eye is comfortable at present. These are tricky cases aren’t they? 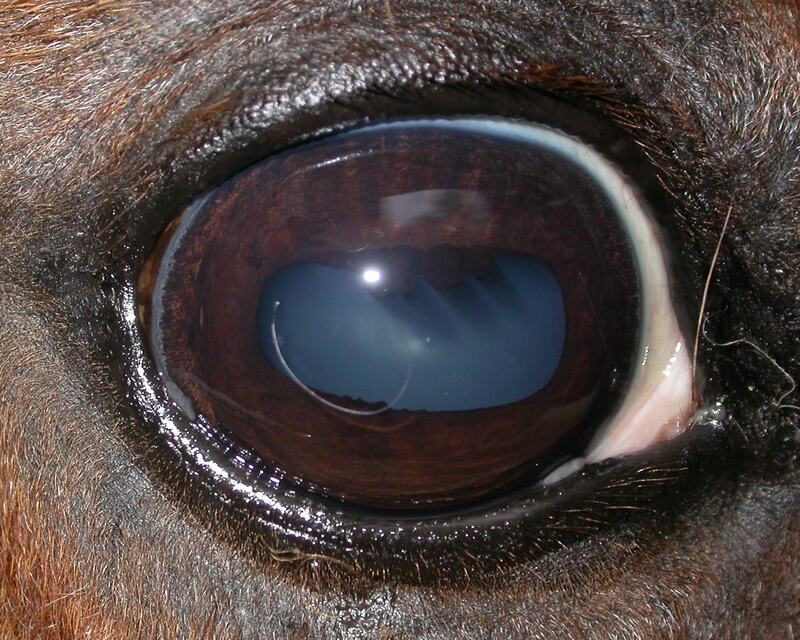 The pony seems to have no problems with vision when she is examined at present but that corneal opacity is bound to have some effect on vision and particularly may cause the animal to ‘spook’ when a light is shone on the eye. Are the black dots on the front of the lens capsule results of a previous inflammation? The pupil margin is smooth and clean and the iris colouration is no darker than that of the other eye as shown below. If there had been a previous uveitis, one would expect a darker iris and more changes to the pupil edge, in my opinion – but can I be absolutely sure? Perhaps those ‘iris rests’, as we might call them, are a congenital abnormality. Tell me what you think!